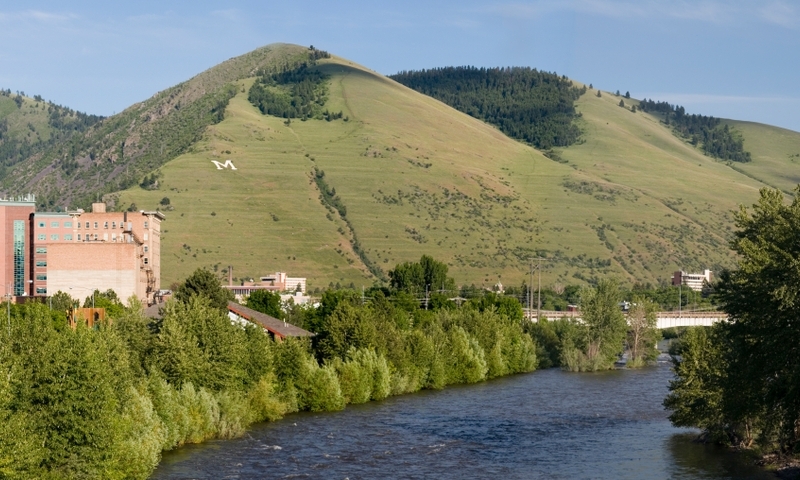 Missoula, Montana has a little something for everyone who loves great indoor and outdoor attractions in a mountain setting including parks and wilderness, museums, scenic drives, a university, and more. Missoula is a great place to get in touch with your inner adventurer, historian, scholar, and child. Surrounded by pristine mountain ranges, you’ll find a multitude of attractions and activities, such as hiking, hunting, fly-fishing, shopping, and sight-seeing. UM Missoula is the main campus for the University of Montana offering a number of degrees from its three colleges and six schools. UM Missoula is regularly voted as one of the most scenic campuses in America and students can enjoy a variety of recreational activities. Several historic museums and buildings are located in Missoula as well as performing art centers and other tourism venues. Visit the Daly Mansion in Hamilton or the ghost town of Garnet. View contemporary pieces at the Missoula Art Museum or brush up on history at the Fort Missoula Museum, Victor Heritage Museum and others. Take a peaceful stroll through Kim Williams Nature Trail and enjoy views of Clark Fork River and Mount Sentinel. Take to the pathways at Lolo Trail Center before enjoying a visit to the adjacent hot springs in Lolo National Forest. And everyone should get a glimpse of the famous “M” halfway up the Mount Sentinel Trail. Skiing and snowboarding rank high on the list of popular Missoula, Montana wintertime activities and several resorts are located in the area. Test the slopes at Montana Snowbowl, Black Mountain, Lookout Pass Ski Area, Lost Trail Powder Mountain and more. National Forests and Wilderness Areas such as the Bob Marshall and Lee Metcalf are untamed, rugged landscapes filled with wildlife making them excellent places to hunt, fish, hike, and camp. Take a soothing dip at an area hot spring or see herds of wild buffalo at the National Bison Range in the Flathead Valley. When planning a scenic drive near Missoula, the question becomes, “Where does one go in order not to experience breathtaking scenery?” It seems that any direction you choose, a glorious landscape awaits you. Explore Lolo Pass and the Bitterroot Valley or head north and see the Flathead region. Follow Rock Creek to Phillipsburg Valley or take the Chief Joseph Scenic Highway near Yellowstone. Near Missoula, play in one of a number of state parks including Frenchtown Pond, Blackfoot River, Placid Lake and several others. State Park activities range from wintertime fun like cross-country skiing and snowshoeing to summer fly fishing excursion and camping. Two miles south of Missoula, Blue Mountain Recreation Area offers hiking and biking opportunity in over 5,000 acres and Missoula Parks and Recreation Department maintains 45 municipal parks spread throughout the city. The tantalizing waters of Rock Creek draw avid anglers each year and fly fisherman also wet flies in the Clark Fork, Blackfoot and Big Hole Rivers. Head north and recreate on Flathead Lake or Seeley Lake and then towel off and pick a new direction to explore with more lakes and rivers around every bend. If you crave unique shops, great restaurants and active nightlife, be sure to visit Missoula’s downtown in both day time and evening hours. While downtown, stop in Caras Park for a ride on a hand-carved pony at A Carousel For Missoula. And to release your inner cowboy, head to the Western Montana Fairgrounds in August for exciting rodeo events, concerts and other activities. The Mission Valley Speedway is a local race track for auto enthusiasts and racers.